Here at Easymove removals Birmingham we understand moving can be a real hardship, that’s where we come in. we aim to take all the stress and aggravation from your shoulders and place it all firmly on ours. We have a number of different cost effective methods to make your move much simpler as easier. 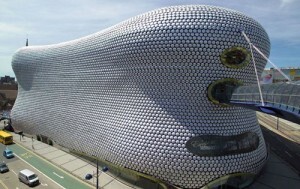 Our Birmingham removals team are all fully qualified and each has years of experience behind them. They will arrive prompt and in full uniform. Our house removals Birmingham team can pack all your belongings for you in a matter of hours. We will then systematically load all your belongings on to our vehicle making it easier and faster unloading saving you time and money. We will also bring furniture protectors for all of your sofa’s, armchairs and mattresses. However our house removal team in Birmingham understand you may have private belongings that you don’t necessarily want others to see, this is why we are more than happy to let you pack yourself. We will send you all the necessary packaging materials such as boxes and tape to save you time shopping around. Our Birmingham removals company have been working in the area for over a decade and are all fully qualified, they will assist you in every aspect possible of your move. We believe that in today’s financial climate your money should stretch as far as possible this I why we have adopted the attitude that acceptable is not acceptable as we don’t want to just meet your expectations we feel we need to surpass them. We are always looking for new ways to improve our service for you, which is why we ask you fill out a rating and suggestion form. In the unlikely event any of your items are damaged during loading, transit or un-loading Easymove removals Birmingham will insure you up to the amount of £100,000. The insurance is included in your overall quote. In terms of payment we have tow methods of devising your bill. The 1st is we send one of our assessors over to assess the size of the job and calculate a fixed price for you. Alternatively we can do a pay by hourly scheme where as you pay an hourly fee for each hour of work you receive. The decision is completely up to you. The full house-Here at easymove removals Birmingham we can do everything in your move without you having to lift a finger. We will send out team of dedicated removal men to pack all your possessions into relevant and related boxes one room at a time making it much quicker to unload your things efficiently saving you time and money. They will also dismantle and reassemble all your furniture. We will also bring furniture covers for your armchairs, sofa’s and mattresses to keep them clean in the move. We will then transport your belongings and unload them into the appropriate rooms quickly and efficiently. Once the vehicle is unloaded we will then unpack your boxes for you. Hence you not lifting a finger. Fragile packing- we will bring special equipment to protect your fragile and valuable possessions such as paintings, glass tables and other breakable valuables. This will keep your mind at rest whilst we are moving you. All fragile items will take priority on our vehicle and every provision will be taken ensuring their safety.